Whether we want it or not, it’s looking increasingly likely that 2019 will be the year of the foldable device. 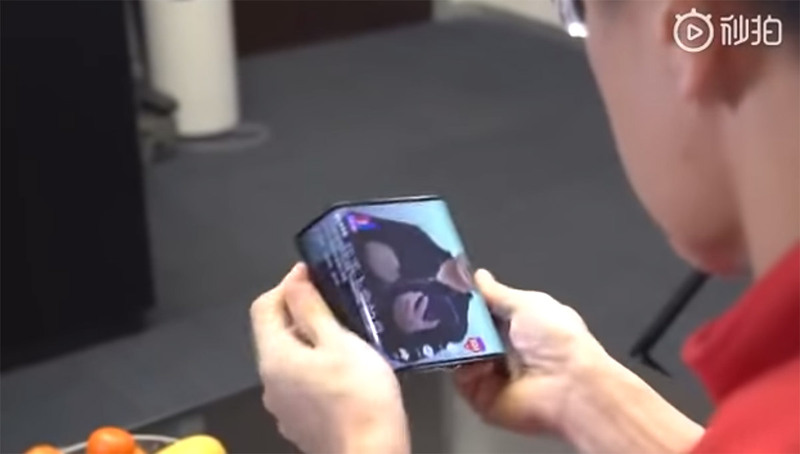 The latest to be named as a company working on a foldable phone is Xiaomi, with a video showing the company co-founder Lin Bin using what is a prototype of a tablet that folds into a phone-like form factor. The video itself was posted to Chinese social networking site Weibo, and shows Bin using what appears to be a tablet. Things take a turn, however, when he folds both sides of the tablet backwards, turning the device into something that more closely resembles a phone-like shape. As the device is folded, the on-screen display can be seen reacting to the change in dimensions, taking a tablet interface and turning into something more suited to a smaller display. Bin says that this device is still a prototype, but that his company will look into making it a production device if that is something that would be received well by users. He said that it was only made possible because Xiaomi has been able to overcome some specific technical hurdles relating to foldable devices, and even went so far as to suggest two possible names for a foldable phone – the Mi MIX Flex and Mi Dual Flex. Bin also says that he is open to suggestions from the public, so if you have some thoughts on how to tackle the design of a foldable device, now is the time to put them forward. Almost every smartphone maker on the planet is said to have at least looked at the potential of making a foldable device, with Samsung set to announce one alongside its Galaxy S10 flagship next month.